The biggest business deal in virtual reality could be facing a war over intellectual property. 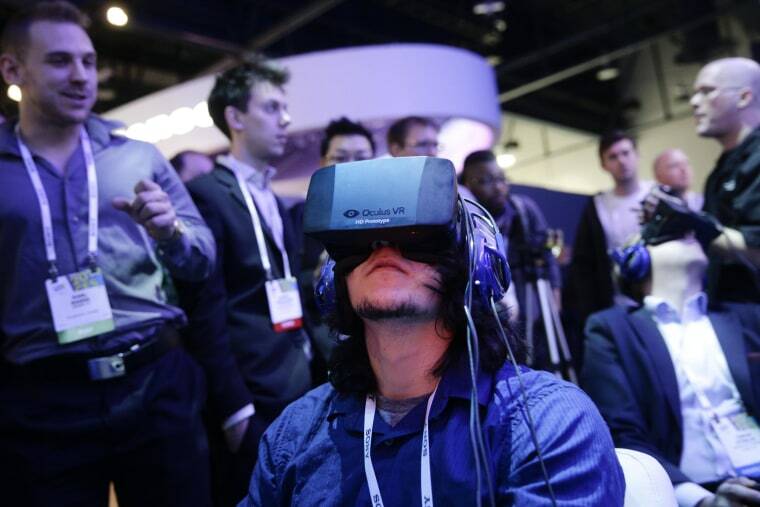 Facebook announced in March its purchase of virtual-reality headset maker Oculus VR for $2 billion. Now, another company is claiming an Oculus employee allegedly stole its intellectual property in order to power the headset, as the Wall Street Journal discovered. And it's not one of the rank-and-file. The employee in question is John Carmack, the creator of influential video games including the "Doom" and "Quake" franchises. Carmack famously left the id Software game studio he created to join Oculus in August. Lawyers for id Software's parent company, ZeniMax, have sent two letters each to Oculus and Facebook in recent weeks, the Journal reported. According to the newspaper, the letters allege Carmack "improperly took ZeniMax's intellectual property with him to Oculus" and claims the technology "propelled Oculus from a shoestring startup to technology's big leagues in less than two years." Oculus, which got its start on the crowdfunding site Kickstarter, denied the claims in a statement to NBC News. "It's unfortunate, but when there's this type of transaction, people come out of the woodwork with ridiculous and absurd claims," Oculus said via email. "We intend to vigorously defend Oculus and its investors to the fullest extent." Facebook declined to comment. ZeniMax -- a Maryland-based firm known for games including "The Elder Scrolls" franchise -- sent NBC News a lengthy statement in which the company confirmed "it recently sent formal notice of its legal rights to Oculus." ZeniMax added that it will "will take the necessary action to protect its interests," intimating that official legal action could be forthcoming.